When her thoughts turned to arson, Jane Black knew it was going to be a very long season. It was only the invariably delightful personality of Madame LaFevre that had Jane discarding ideas of burning down the woman’s dress shop as a means of escaping another season. Or more specifically, the Marquess of Evanshire. Unfortunately it was the dreadful incident at the Brownlow ball that had saved her from the previous season. And then it had only been a temporary reprieve. One captured at too great a cost. Her eyes roamed over to her new sister-in-law, sitting as straight as her ever increasing stomach would allow as she surveyed the gowns Jane modeled. It was just short of a year since her brother, Samuel, had wed Penelope Paiget while the two had chased after the also invariably delightful Professor Xavier Mesmer after the professor’s assistant was murdered by an unknown entity attempting to steal the professor’s telescope discovery. And Jane had been left in the care of the Marquess of Evanshire for safekeeping. She blinked and ducked her head into her shoulder as heat swarmed her cheeks. She darted a glance at her mother and Penelope, sure they saw the blush caused by her traitorous thoughts, but they chattered on about the Gigot sleeves and whether there should be covered buttons or pearl buttons gathering the cuffs. Jane heard none of this as the forbidden name ran around her brain. She believed she had done a rather fine job feigning disinterest in the man. Or at the very least, a polite amiableness. But her true thoughts had her pushing a hand to her stomach and ducking her head into her shoulder again. Jane squeaked, all eyes in the small sitting room turning to her. She pressed her hand to her stomach again, dipping her eyelashes in false demure. “It’s just a little tight,” she said, running her fingers over the sash Madame LeFevre was so ardent about fixing. Jane closed her mouth and looked away. It was her second season. Two seasons too many, but no one had asked her for her input. Or rather, they hadn’t listened when she’d given it without invitation. She had already picked out a suitable man to marry. Mr. John Smith, a perfectly reasonable second son of the country baron who made his home not more than three miles from Eaton Park, her father’s estate in Kent. Mr. Smith had always been kind to her at the local assemblies. Asking her for the first dance. Fetching her lemonade. He had extraordinary insight on crop rotation and fertilizer that he planned to use when he became of age and inherited the parcel of land his grandfather had left him. Jane had grown so comfortable around the man, she’d even revealed her terrible secret to him. That it was, indeed, herself who kept the accounts at the estate and not her father. Such an untoward thing for a woman to manage, but there was nothing about Mr. Smith that would suggest he would find disfavor in the thing. So she’d revealed it to him. It was all very comfortable and…known. There was nothing about Mr. Smith and his agriculture ambitions that Jane could not surmise at the outset. Not like when she looked at the Marquess of Evanshire. Not when he cast that grin at her. The one that lit his brown eyes until the delicious pain in her stomach became too much to bear. Not like when his hand slipped into hers, leading her onto a dance floor. Not like when he pulled her close. Not like when she could smell the vanilla of his soap. The mint on his breath. Jane trailed a hand down the skirts of the gown, their luxurious fabric reminding her that this was all a terrible, unneeded expense. The money for her gowns could have gone into the building of Eaton Park’s gristmill, which would have been a far better investment. She eyed her mother but was met with the same stern expression she had since the first time Jane had balked at the idea of a season. For Jane’s seasons were not at all about Jane. They were about her cousin, Lady Emily Black. Emily was beautiful and lovely. Everything a gentleman would seek in a wife. Not at all like Jane. But Emily’s beauty and her natural way of enticing the gentlemen meant she required extra chaperoning. That came by way of her plain cousin, Jane, and Jane had been forced to debut with Emily. Attend the same balls. Danced the same dances. Smile at the same gentlemen. All in hopes of keeping Emily in line. But as Emily had become firmly affixed to the Marquess of Evanshire, Jane had had very little actual chaperoning to do as Emily’s attention was rather narrowed. The pain in Jane’s stomach now had nothing to do with the memory of Austin’s grin. 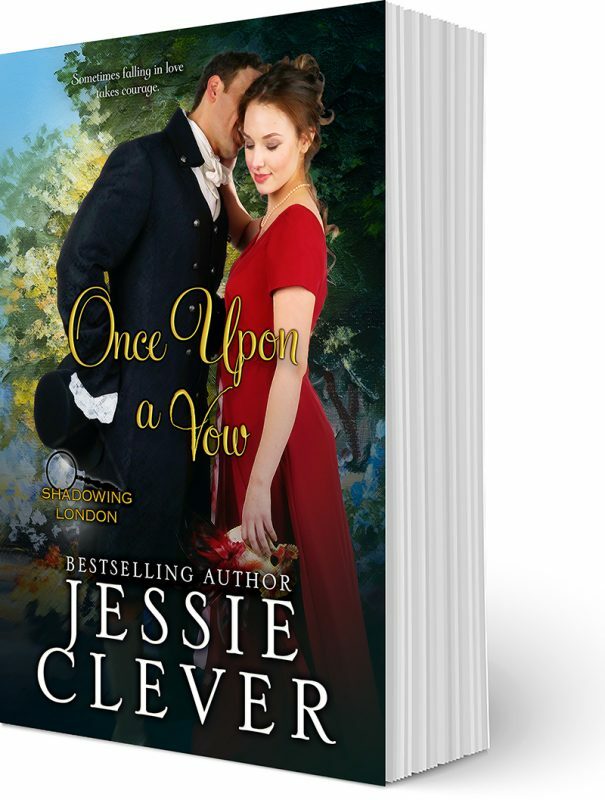 She bit her lower lip, swallowed the disappointment that rose up at the thought of Emily and the marquess, and stepped down from the dais where she had stood while Madame LeFevre adjusted the gown. It needn’t matter. It shouldn’t matter. She was determined to marry Mr. Smith after all. And the excuse of chaperoning Emily gave her leave to fulfill her other plan. A vow really. One she’d made in secret and was now struggling with learning how to bear. “I will help you out of the gown, mon cherie.” Madame LeFevre pushed to her feet, brushing a strand of her silver hair from her forehead and back into the cap she wore perched high on her head. “With all the pins in the bodice, you are likely to get stuck like a Christmas pig!” The French woman’s laugh tinkled through the room, but Jane could hear the rasp of age under it. Jane studied the woman more carefully, noting the lines around her dark eyes, the creases at her mouth. But more, the swollen knots that were her fingers. Penelope laughed, her wide, almond-shaped eyes crinkling in her happiness, her hand massaging her belly. A twinge sparked in Jane’s chest, and she rubbed a hand absently at the spot. But when she hoped the pain would go away, her mind only saw the Marquess of Evanshire’s face. She turned, carefully picking up the skirts of her gown to retreat back to the changing room where Madame would help her into her regular things. Jane only had to remember her vow and get through this. It would all be over soon. A knock at the door stopped her. “Madame, the gentleman is here,” a young seamstress said with a curtsy to Madame LeFevre. Just on the other side of that door. The pain blossomed through her chest and into her stomach, driving the air from her lungs. She dropped her gaze to the floor, shuffled her feet back towards the changing room. “Come, child, before you ruin all of my hard work. 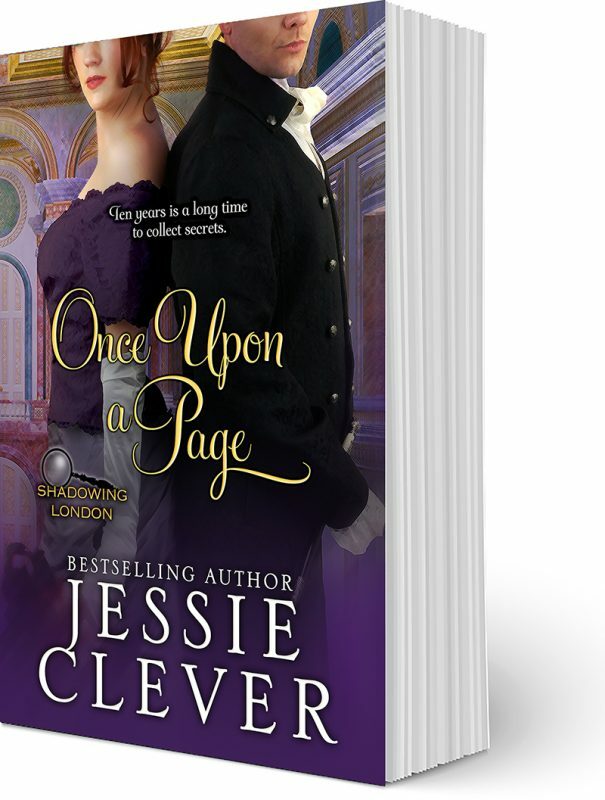 We must get you out of that gown.” Madame LeFevre chased after her, shooing her into the adjoining room and snapping the door shut behind them with a sudden burst of unusual excitement. This space was smaller but equally as appointed in lush fabrics and gilt mirrors. Jane’s regular things hung on hooks along the wall, and their familiarity and serviceable, plainness quelled the rush of emotion inside of her. Jane stared at herself in the mirrors. She was too thin. Too tall. Her bones protruded from her unusually long limbs. Her corset hung loose about her. Even it was no match for her thinness. Her nose was too big. Her forehead, too, but at least that she hid that under a generous spray of fringe. The spread of her petticoats made her appear as though she were a duster, ready to flail across the floor. She was certainly no match for Lady Emily Black. Jane ran her hands up and down her arms to abate the sudden chill that spread over her, letting her gaze move up the mirror to Madame LeFevre’s reflection to see where she was with Jane’s regular gown. Her eyes froze on the reflection of the modiste. The woman held an indigo blue glass bottle in one hand and a rag in the other, dumping the contents of the bottle onto the rag while keeping her face carefully averted. Jane kept very still, her hands frozen on her arms as she watched the modiste set the indigo blue bottle back on a table, keeping her hand with the rag carefully extended away from her body. The modiste turned, keeping her eyes on the rag, and approached Jane from behind. Although much older than Jane, the woman was also much bigger. Taller. Wider. Thicker. Stronger. Jane’s hands clenched on her elbows. Her body preparing for flight as she knew she didn’t stand a chance at fight. Not like her father, the great spy for the War Office. Not like her brother, the revered detective inspector for the Metropolitan Police Force. She was just little, plain Jane Black, who hoped to one day marry a farmer and live a quiet life in the countryside. But Madame kept coming closer, the rag held high. Three more steps. Jane’s mind raced, searching for a way out. A weapon. Something that she could use to protect herself. The gown she had just tried on hung on a hook beside her, the soft light of the room glinting off the pins along the sash. Jane spun and plunged toward the gown, her fingers slipping over the pins before catching one. She wrenched it free and turned, her arm swinging where she thought the modiste had stood. Flesh met flesh, and she heard the rasp of the woman’s cry just as Jane screamed the only thing she could remember. Visit the book page for more.